HyperX®, the gaming division of Kingston® Technology Company, Inc., today, announced the addition of HyperX Cloud Revolver Gunmetal gaming headset to its Cloud Revolver family. Featuring the same award-winning sound, comfort and durability inherent in Cloud Revolver, the new Gunmetal edition offers the immersive audio profiles engineered in the Cloud Revolver family, creating a larger sound stage for FPS and open-environment gameplay, as well as concert hall-like audio experience when listening to music. The HyperX Cloud Revolver Gunmetal headset is now available withan MRP of INR 14,900/- and it is backed by a two-year warranty. HyperX Cloud Revolver Gunmetal uses 50mm drivers that directs sound into the ear for precise audio positioning and a clean, crisp sound with enhanced bass. 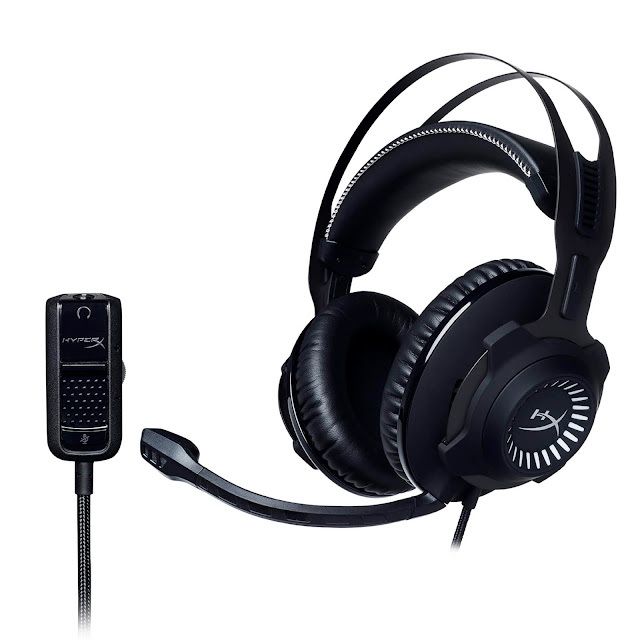 The headset is versatile with its detachable noise-cancelling microphone that is certified by TeamSpeakTM and Discord. The headset is designed to deliver ultimate comfort during long hours of gameplay with HyperX signature memory foam and premium leatherette on the ear cups and head band. HyperX Cloud Revolver Gunmetal is compatible with PC, PS4™, PS4™ Pro, Xbox One™1, Xbox One S™1, Mac®, Mobile2, Nintendo Switch™, and other virtual reality systems with 3.5mm ports3. 1 Adapter required for Xbox One controllers with no 3.5mm port (adapter sold separately). 3 Compatible with Virtual Reality systems with 3.5mm port.